“Owe no one anything, except to love one another; for he who loves his neighbour has fulfilled the law. …Love does no wrong to a neighbour” (Romans 13:8, 10). In his commentary on 1 Peter 1:17, Martin Luther wrote: “Now when I have given God […] honor, then whatever life I live, I live for my neighbor, to serve and help him. The greatest work that comes from faith is this, that I confess Christ with my mouth and, if it has to be, bear testimony with my blood and risk my life. Yet God does not need the work; but I should do it to prove and confess my faith, in order that others, too, may be brought to faith. Then other works will follow. They must all tend to serve my neighbor. All this God must bring about in us” (LW 30). The relationship between faith and works – or between faith and love – is one that Christian theology has contended with from its inception. Various answers have been proposed, some contrary to another. The questions are essentially: Which comes first, faith or works? Must I do something to prepare myself in order to have faith? Must I do something after believing in order to be saved? Is it faith alone or faith and works? And if it is faith and works, how do those two things work together in the Christian life? What is more important: God’s love for us or our love of God and neighbor? Is it proper to oppose these propositions? 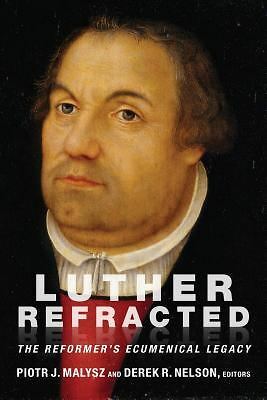 If we are to take Luther’s statement just read, then I assume the most contentious parts are about works when he claims that “…God does not need [your] work…” and “[your works] must all tend to serve [your] neighbor.” Here we uncover two main theses in the relationship of faith and works: 1) God has no need of your good works because they will not merit your salvation; 2) Your good works are necessary because your neighbour is in great need of them. First of all, God has no need of your works is not the same thing as saying that God does not delight in your good works. The law that God provides for his Church, most summarily compiled in the Ten Commandments, is a blueprint for a just and righteous life, a guide for good works. Just as the civil authorities are quite pleased to not arrest us for breaking the law, so too God is quite pleased not only when we avoid breaking the law but also (and maybe more importantly) when we strive to live out the law’s positive commandments. For instance, it is well and good to not murder someone, nor to harbour hatred in our hearts, but it is also well and good to love, comfort and care for our neighbour in every need. As Christ intimates over and over in his Sermon on the Mount, not only does the righteous life consist in not doing certain things, it also consists in doing certain good and positive things. Hence the law of Christ has both a negative aspect (“Do not do this or that…”) and a positive aspect (“Do this or that…”). But what does our positive “doing” of the law, our life of loving others, have to do with our salvation? To say that a life of love has nothing to do with salvation would be a mistake. To say that a life love will not earn or garner our salvation from God would be more accurate and appropriate. God is the source of salvation and the event of Christ’s life, death and resurrection affirms at least one thing for the world: human beings, on their own, could not and cannot earn or attain the perfect righteousness that this world was meant to operate upon or within. Once it was lost it remained out of our reach until Christ came to fulfil the law, to attain righteousness. Just because Christ has, in a sense, done our work for us, it does not mean that a life of love, a life of striving to do well, is unnecessary. As the Thirty-Nine Articles of Religion state in Article XII: “Albeit that Good Works, which are the fruits of Faith, and follow after Justification, cannot put away our sins, …; yet are they pleasing and acceptable to God in Christ, and do spring out necessarily of a true and lively Faith;…” Hence, our good works and salvation are not unrelated things. As St James would write in his epistle: “… faith by itself, if it has no works, is dead” (2:17). For this reason, I think we can concur with Luther, that God has no need of our good works in the sense that they will not convince God to grant us salvation. We will not attain righteousness on our own merits. But we can also say, in the next breath, that God does delight in our good works because they are an example, an outgrowth, and a witness of that which we have received: they are evidence, physical manifestations of the righteousness of Christ that we have been given in such things as Word and sacrament. To our final point, St Paul’s point in our first reading this evening: “Owe no one anything, except to love one another; for he who loves his neighbour has fulfilled the law. …Love does no wrong to a neighbour” (Romans 13:8, 10). It is our neighbour who needs our good works, our neighbour who needs our love. We can simply say that this is the case because plenty of people, socially and psychologically, are in need of love. All people need to feel loved, need to feel wanted, need to feel that they have a certain place in this world, especially a place in someone else’s life. It is an unhappy person who hasn’t experience someone else’s love. Finally, loving our neighbour is a fulfilling of the law. It is not a fulfilling of the law in the sense of earning our own righteousness, for Christ says that he came not to abolish the law and the prophets but to fulfil them (Matt. 5:17). It is the special and unique role of Christ to fulfil the law but as a result it is now our role as recipients and partakers of Christ’s fulfilment to fulfil the law in our lives. As Paul will write elsewhere, once we were in darkness, but now in Christ we are in the light, hence “walk as children of light” (Eph. 5:8). In other words, be who you are. Act like what you have been made to act like. You are receivers of Christ’s perfection, now walk in that perfection. We sang about this same outlook from the Psalmist tonight: “Behold, I long for thy precepts; in thy righteousness give me life! (Psalm 119:40). In Christ we have been given the gift of righteousness, freed to walk in that same righteousness and to be a witness of Christ’s righteousness to others. His love for us is the source of our love for our neighbour. Simply put, “We love, because he first loved us” (1 John 4:19). Amen. Lutheran Service Book: Liturgical Renewal or Liturgical Stagnation? I sometimes wonder if faith alone is enough. I live alone, and don’t interact much. Sometimes think I need to do charitable work, to demonstrate my good heart. It bothers me. And Bach, you are interacting with people right now through this blog post…do not judge yourself off of your “public ministry”. I always think it is important to look back and find that spark that we may have lost along the way. What is it about the Lord that draws us so close to him…what energizes us? Like I always tell my little girls, and is something my mother passed on to me; remember who you are!